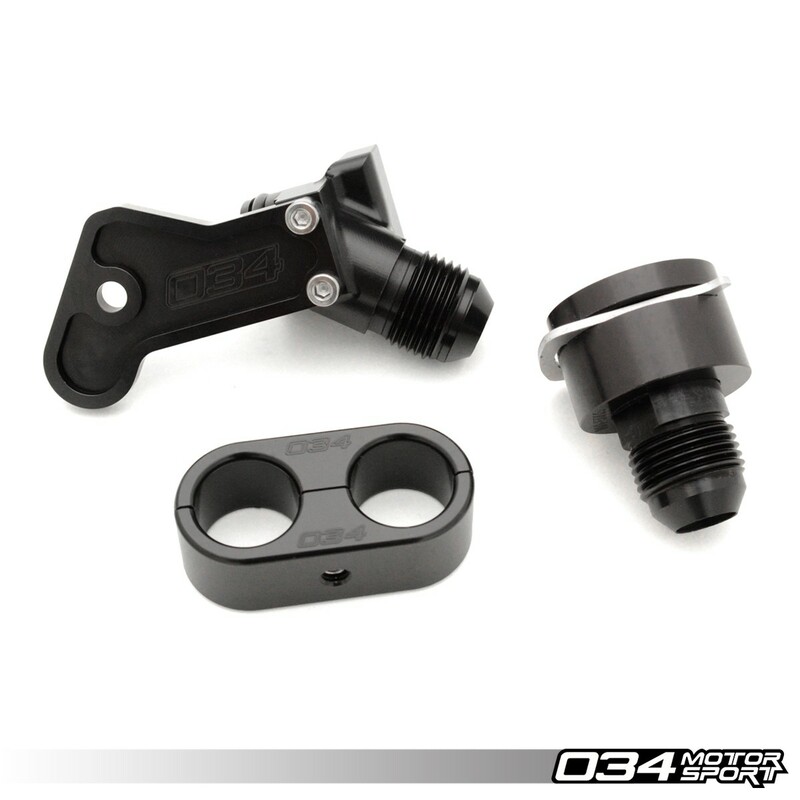 034Motorsport's Billet Catch Can Kit is the most comprehensive and effective PCV System solution for the 8V Audi S3 and MkVII Volkswagen Golf R.
034Motorsport's engineers designed the Billet Catch Can Kit to provide optimal crankcase ventilation while keeping oil and water vapor out of the intake tract, resulting in drastically reduced carbon buildup and extended life from the 2.0T EA888 Gen 3. 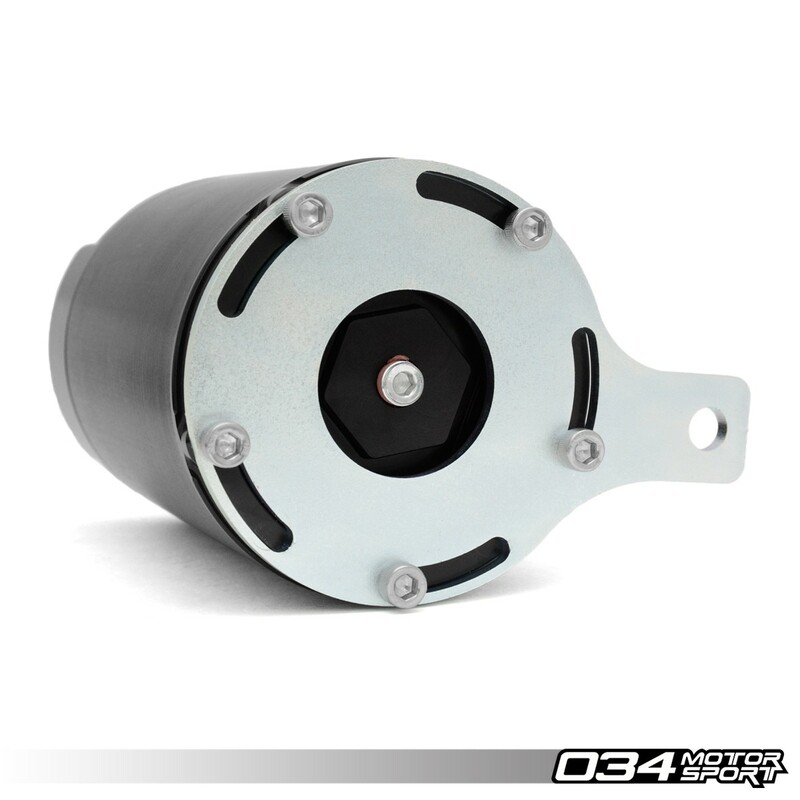 034Motorsport's engineers invested significant effort developing and testing to create the most comprehensive and effective catch can kit on the market for the 2.0T EA888 Gen 3 motor. 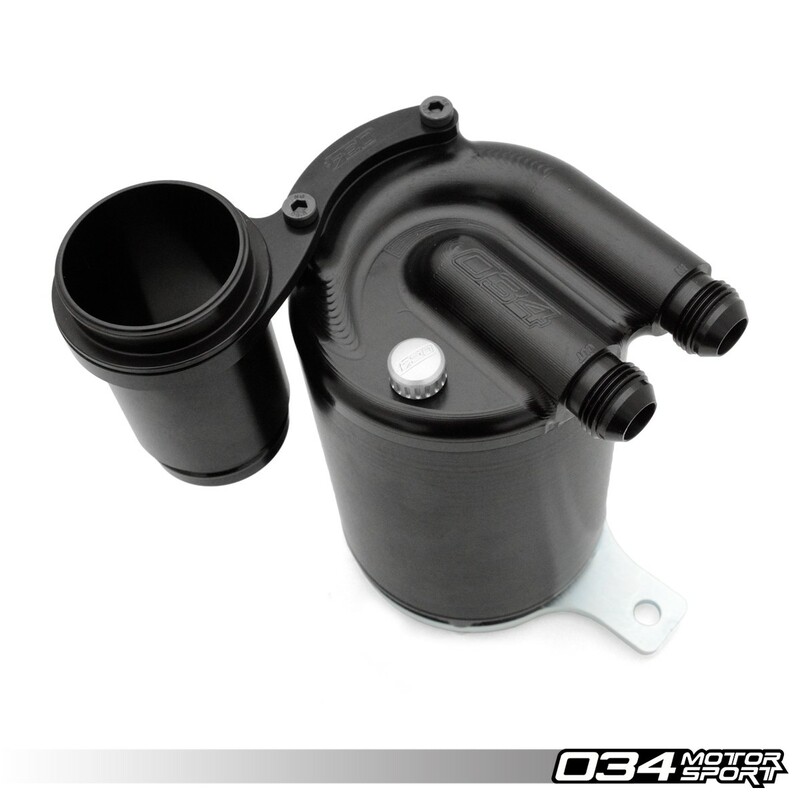 The 034Motorsport Billet Aluminum Catch Can Kit for 8V Audi S3 and MkVII Volkswagen Golf R features a completely revised high-capacity design to provide optimal crankcase ventilation while keeping oil and water vapor out of the intake tract. 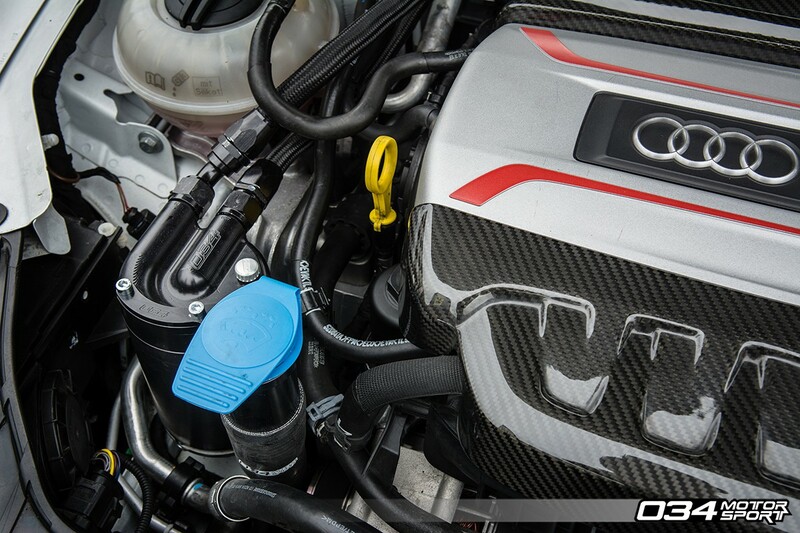 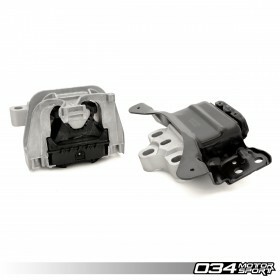 Furthermore, this catch can prevents oil ingestion during hard driving and heavy cornering loads seen on track. 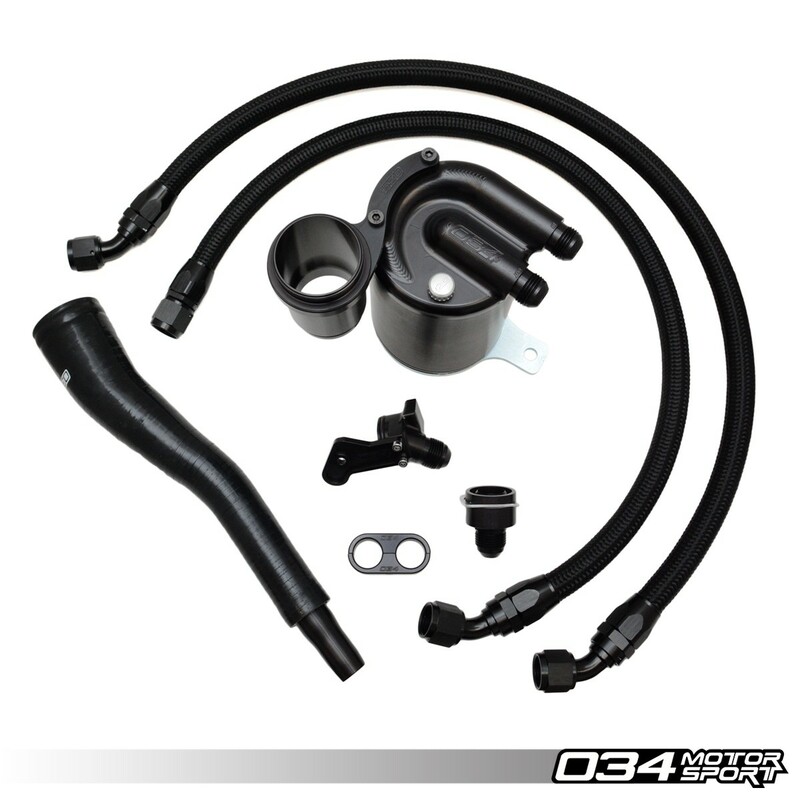 This kit is designed to prevent oil from depositing in the intake manifold and intake valves, resulting in drastically reduced carbon buildup and extended life from the motor. 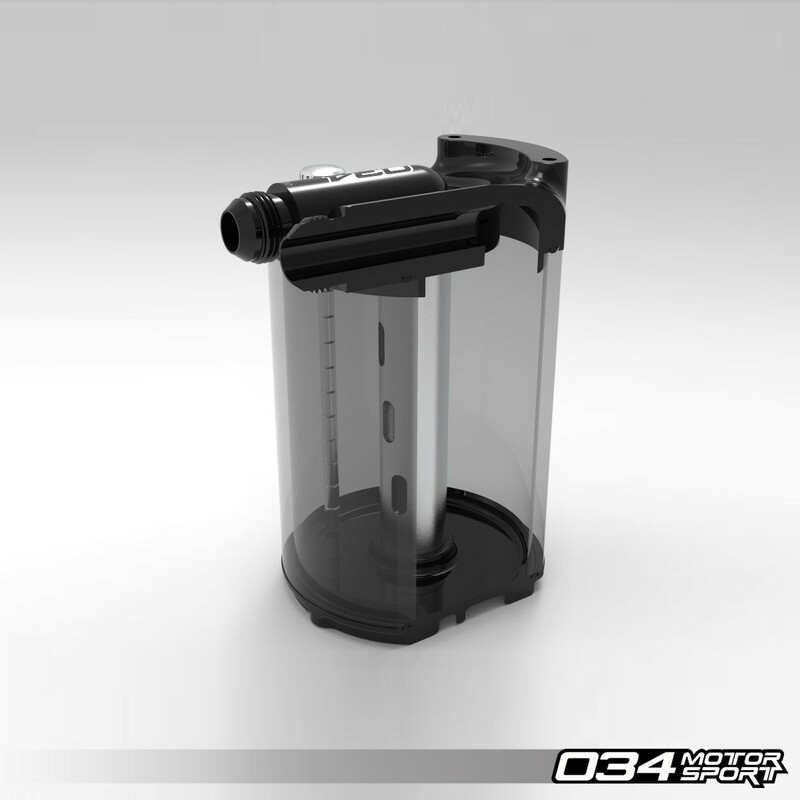 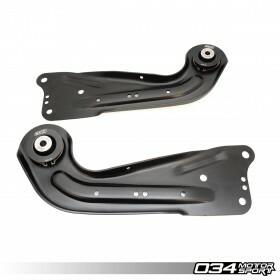 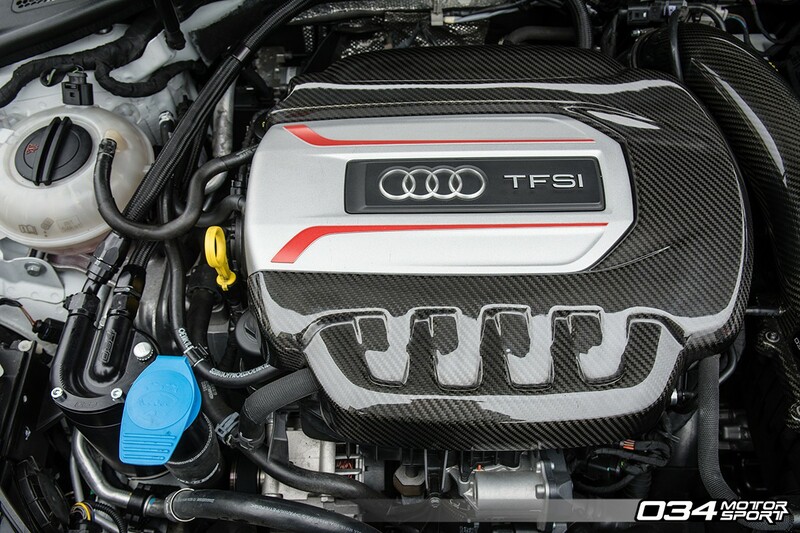 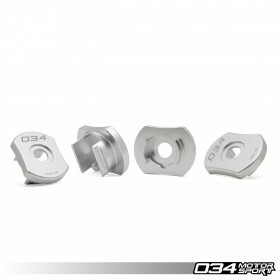 The installation of your 034Motorsport 8V Audi S3 & MkVII Volkswagen Golf R Billet Catch Can Kit is a straightforward process that will take a few hours to complete. 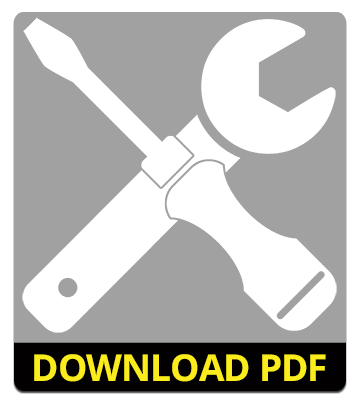 You can access our detailed installation guide by clicking the icon on the left.